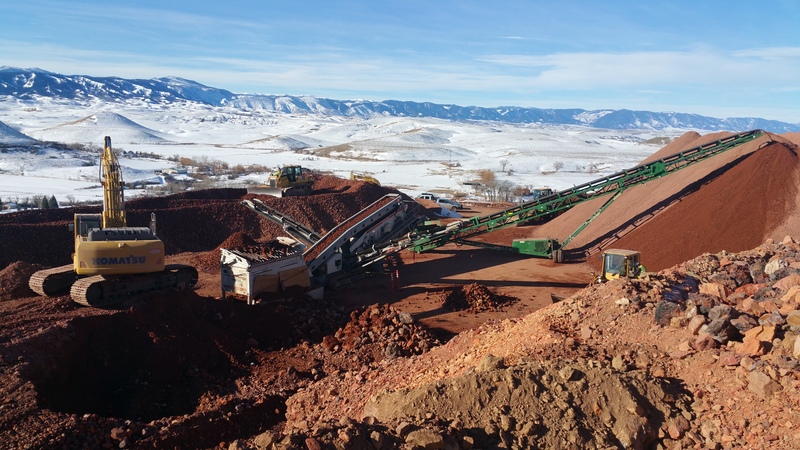 Screening scoria to produce clean 4″ x 1.5″ rock for local WYDOT slide repair work as well as 1.5″ minus scoria for roadbase material. Material Retail Yard is Now Open! Copyright © 2018 All rights reserved. | Theme: Creativ Business by Creativ Themes.